A poll tax, or head tax, is a tax of a uniform, fixed amount per individual (as opposed to a percentage of income). Raised thus per capita, it is sometimes called a "capitation tax." When a corvée is commuted for cash payment, in effect it becomes a poll tax (and vice versa, if a poll tax obligation can be worked off). Such taxes were important sources of revenue for many governments from ancient times into the nineteenth century, but this is no longer the case. There are several famous cases of poll taxes in history, notably a tax formerly required for voting in parts of the United States that was often designed to disfranchise poor people, including African-Americans, Native Americans, and whites of non-British descent. In the United Kingdom, such taxes were levied by John of Gaunt and Margaret Thatcher in the fourteenth and twentieth centuries respectively, both with disastrous results. Poll taxes are regressive, since they take the same amount of money (and hence, a higher proportion of income) from poor individuals as for rich individuals. The introduction of poll taxes has, therefore, been unpopular with the general populace. Historically, such taxes were levied for specific purposes, usually wars, although governments often failed to revoke them when the war was over. Although an equal tax such as the poll tax is attractive, apparently simple to collect and difficult to cheat, the feelings generated make it not viable in contemporary society. It is only when human nature changes from selfishness to caring for others and society as a whole that the problems inherent in taxation can be resolved, both by those designing the system and by those paying and collecting the taxes. The word "poll" is an English word that once meant "head," hence the name poll tax for a per-person tax. In the United States, on the other hand, the term has come to be used almost exclusively for a fixed tax applied to voting. Since "going to the polls" is a common idiom for voting (deriving from the fact that early voting involved head-counts), a new folk etymology has supplanted common knowledge of the phrase's true origins in America. An early recorded form of poll tax is found in Ancient Egypt. The pharaohs' tax collectors, known as "scribes," during one period imposed a tax on cooking oil. To ensure that citizens were not avoiding this cooking oil tax, scribes would audit households to insure that appropriate amounts of cooking oil were consumed and that citizens were not using leavings generated by other cooking processes as a substitute for the taxed oil. The earliest tax mentioned in the Bible (Ex. 30:11-16), a half-shekel per annum from each adult Jew, was a form of poll tax. Poll taxes were originally levied on conquered people by the ancient Greeks and Romans. Athenians also imposed a monthly poll tax on foreigners, defined as people who did not have both an Athenian mother and father. The tax was referred to as metoikion, and consisted of a charge of one drachma for men and a half drachma for women. In times of war, the Athenians imposed a tax, referred to as eisphora, to pay for special wartime expenditures. No one was exempt from this tax. Throughout the centuries, in several countries, this type of tax has been an important source of revenue for financing wars with rival nations. The ancient Greeks, however, were one of the few societies that were able to rescind the tax once the emergency was over. Poll taxes were used in medieval times and later in England, becoming a major cause of civil unrest. 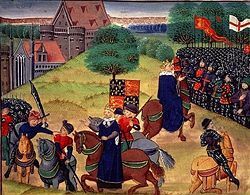 The most famous poll-tax in English history is the one levied in 1380, which led to the revolt of the peasants under Wat Tyler in 1381. A notable poll tax was imposed on the entire male peasant population of Russia by Czar Peter the Great in 1718. One result of that tax was the institution of a census in order to provide a basis for financial calculations in connection with the tax and to aid in enforcement of the tax. In fact, for a genealogist, the wonderful thing about the poll tax is that returns are given by name and place, and the relationship among taxpayers (wife, children, and so forth) is often included. Poll tax payments covered almost 60 percent of the population, which is far more than the lay subsidies that came before it. That makes it, by far, the medieval document most likely to contain the name of an individual's ancestors. The poll tax in England was actually one form of what was called a lay subsidy—a tax paid by all non-churchmen on movable property to help fund the army in times of war. The money was raised by taxing individuals a fraction of the assessed value of the movable goods, that fraction varying from year to year (and often place to place). The goods that could be assessed varied between urban and rural areas. Obviously, the well-to-do paid more, but many others also ended up having to pay, although the poor were exempt. In fact the list of exemptions is fascinating in its own right: Not only churchmen, but also workers in the Royal Mint, inhabitants of the Cinque Ports, inhabitants of the Counties Palatine of Cheshire and Durham, and tin workers of the Cornish and Devon stannaries. The earliest lay subsidy—at least under that name—was raised in 1275, and after that they were levied at disturbingly regular intervals until the seventeenth century. From 1524, when the method changed so that land was taxed at an annual value of 24 percent and goods at 28 percent in the pound (an eerie augur of modern taxation), names were listed until the lay subsidy was finally ended. For the most part, however, the returns are of little use to the genealogist (unlike other poll tax records), since from 1332 onwards, no individual names were recorded, only the totals for a village or town. Although the poll tax was strictly a poll tax, and certainly envisaged that way at the time, it is viewed quite differently in retrospect, largely because it was a tax per head, rather than on goods. It was levied three times in the fourteenth century, in 1377, 1379, and 1381. Each time the basis was slightly different. The end of the Peasants' Revolt in 1381: Wat Tyler killed by Walworth while Richard II watches, and a second image of Richard addressing the crowd. In 1377, everyone over the age of 14 and not exempt had to pay a groat (2 pence) to the Crown. In 1379, the tax was again levied, but on a graduated scale by social class. John of Gaunt, duke of Lancaster, paid ten marks, and the scale descended from him to the peasants, who paid one groat each, every person over sixteen years of age being liable. In 1380, the tax was also graduated, but less steeply. The levy in 1381 was particularly unpopular, as each person aged over 15 was required to pay the amount of one shilling, which was a large amount at the time. This provoked the Peasants' Revolt in 1381, due in part to attempts to restore feudal conditions in rural areas. For some years after the uprising of 1381, money was raised in this way only from aliens, but in 1513, a general poll tax was imposed. This, however, only produced about £50,000, instead of £160,000 as was expected, while a poll-tax levied in 1641 resulted in a revenue of about £400,600. During the reign of Charles II, money was obtained in this way on several occasions, although, especially, in 1676-1677 there was a good deal of resentment against the tax. For some years after 1688, poll-taxes were a favorite means of raising money for the prosecution of the war with France. Sometimes a single payment was asked for the year; at other times quarterly payments were required. 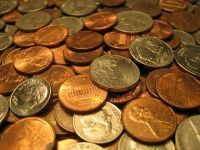 The poll tax of 1697 included a weekly tax of one penny from all persons not receiving alms. In 1698, a quarterly poll-tax produced £321,397. Like previous poll taxes, the tax of 1698 did not produce as much as was anticipated, and it was the last of its kind in England. 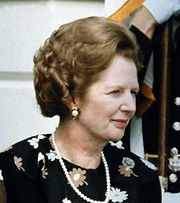 In the twentieth century, the abolition of the rating system of taxes (based on the notional rental value of a house) to fund local government was in the manifesto of Prime Minister Margaret Thatcher's Conservative Party in the 1979 general election. The Green Paper of 1986, Paying for Local Government, proposed the Community Charge. This was a fixed tax per adult resident, hence a poll tax, although there was a reduction for poor people. The tax proved unpopular, seeming to shift tax burdens from the rich to the poor, and ultimately played a role in ending Thatcher's political leadership. In the United States, poll taxes were levied infrequently until after the American Civil War. They were then adopted by the southern states as a way of circumventing the 15th Amendment to the U.S. Constitution, which guaranteed former slaves the right to vote. Thus, the poll tax was connected with voting rights. Poll taxes enacted in Southern states between 1889 and 1910, had the effect of disenfranchising many blacks as well as poor whites, because payment of the tax was a prerequisite for voting. For instance, with the annexation of Texas in 1848, at the end of the Mexican-American War, Tejanos—Texans of Mexican descent—lost property rights and political power in a society dominated by Anglos. Through discriminatory practices and violent force, Tejanos were kept at the bottom of the new political and socio-cultural order. From 1900–1930, as an influx of immigrants from Mexico came north to meet a growing demand for cheap labor in the developing commercial agriculture industries, Tejanos experienced continued discrimination in employment, housing, public facilities, the judicial system, and educational institutions. In addition, Texas joined the other former Confederate states in 1902, legislating a poll tax requirement that, with the implementation of all-white primaries in 1904, effectively disenfranchised African Americans and many Tejano citizens. The struggle of Mexican Americans to end discriminatory practices accelerated following World War II. By the 1940s, some of these taxes had been abolished. To speed-up repealing the tax, in 1948, an advocacy group was formed by Mexican American veterans. In 1949 and 1950, they began local “pay your poll tax” drives to register Tejano voters. Although they failed in repeated efforts to repeal the tax, a 1955–1956 drive in the Rio Grande Valley resulted in the first majority Mexican American electorate in the area. Reaffirmed the simple but unbreakable theme of this Republic. Nothing is so valuable as liberty, and nothing is so necessary to liberty as the freedom to vote without bans or barriers. There can be no one too poor to vote. In 1966, the tax was eliminated in all state and local elections by a Supreme Court ruling, which ruled that such a tax violated the “equal protection” clause of the 14th Amendment to the Constitution. A poll tax has had two historical meanings. The older is that of a way to raise funds for the government, usually for a specific purpose such as war. The tax was a fixed amount for each eligible person: Sometimes all citizens were charged; on other occasions foreigners. The second use is that of a fee that had to be paid to satisfy taxpayer requirements in voting laws. In some places, only people who could demonstrate a financial tie to a community were permitted to vote there. For those who did not otherwise own property or pay taxes, this sort of poll tax was sufficient to allow voting. Poll taxes of this sort were generally low, perhaps a dollar or two, but high enough to make voting uneconomical for poor people. There are several famous cases of poll taxes in history that caused such problems, notably a tax formerly required for voting in parts of the United States that was actually designed to disenfranchise African Americans, Native Americans, and whites of non-British descent, as well as taxes levied in England by John of Gaunt and Margaret Thatcher in the fourteenth and twentieth centuries respectively. Poll taxes have also been used to discourage immigration. In New Zealand, as economic conditions worsened, there was a growing animosity towards the incoming Chinese, and from 1881, measures were introduced to restrict further Chinese immigration. All Chinese entering New Zealand had to pay a poll tax. The numbers of the Chinese immigrants went from 20,000 a year to eight people after the government imposed this "head tax." The poll tax was effectively lifted in the 1930s, following the invasion of China by Japan, and was finally repealed in 1944. Prime Minister Helen Clark offered New Zealand's Chinese community an official apology for the poll tax at the Chinese New Year celebration on February 12, 2001. The Chinese Immigration Act of 1885 stipulated that all Chinese entering Canada would be subjected to a head tax of $50. The act was mostly to discourage the lower class Chinese from entering, since Canada still welcomed the rich Chinese merchants who could afford the head tax. After the Government of Canada realized that the $50 fee did not effectively eliminate Chinese from entering Canada, the government passed the Chinese Immigration Acts of 1900 and 1903, increasing the tax to $100 and $500, respectively. On June 22, 2006, the Prime Minister of Canada, Stephen Harper, delivered a message of redress for this tax applied to Chinese immigrants. To understand the problems inherent in the use of poll taxes, one might first review the "Community Charge" of Margaret Thatcher's government in the late twentieth century in the United Kingdom. The Green Paper of 1986, Paying for Local Government, proposed the Community Charge. This was a fixed tax per adult resident, hence a poll tax, although there was a reduction for poor people. This charged each person for the services provided by their community council (local government). Prior to this, there were dramatic differences between the boroughs in the amount charged due to the varying amount of local taxes paid by businesses and the, sometimes considerable, varying amounts of grant provided by the central government to individual local authorities. Local government councils, in many cases, had been engaging in runaway spending in the years preceding 1990. Their basic local revenue was derived from the property tax (known as "rates" in Great Britain) levied proportionately on the value of property. Prime Minister Thatcher decided to bring the local councils to heel by legislating the abolition of the local rates, and their replacement by an equal poll tax per adult, calling it by the euphemism, "community charge." At least on the local level, then, "soaking the rich" was to be replaced by an equal tax. However, the system proved unpopular: Rather than being based on the estimated price of a house, it was now based on the number of people living in it, with the perceived effect of shifting the tax burden from the rich to the poor. Additionally, many of the tax rates set by local councils proved to be much higher than earlier predictions, leading to a feeling of resentment even among many of those who had supported it. Enforcement measures became increasingly draconian, and unrest mounted and culminated in a number of Poll Tax Riots. The anti-government riots in London at the end of March were, it must be noted, anti-tax riots, and surely a movement in opposition to taxation can't be all bad. But wasn't the protest movement at bottom an envy-ridden call for soaking the rich, and hostility to the new Thatcher tax a protest against its abstention from egalitarian leveling? … Not really. There is no question that the new Thatcher "community charge" was a bold and fascinating experiment (Rothbard 1995, Ch. 62). On the market, people do not pay for goods and services in proportion to their incomes. David Rockefeller does not have to pay $1000 for a loaf of bread for which the rest of us pay $1.50. On the contrary, on the market there is a strong tendency for a good to be priced the same throughout the market; one good, one price…. It would be far more neutral to the market, indeed, for everyone to pay, not the same tax in proportion to his income, but the same tax as everyone else, period. Everyone's tax should therefore be equal. Furthermore, since democracy is based on the concept of one man or woman, one vote, it would seem no more than fitting to have a principle of one man, one tax. Equal voting, equal taxation (Rothbard 1995). In the first place, it was still not neutral to the market, since—a crucial difference—market prices are paid voluntarily by the consumer purchasing the good or service, whereas the tax (or "charge") is levied coercively on each person, even if the value of the "service" of government to that person is far less than the charge, or is even negative. Also, a poll tax is a charge levied on a person's very existence, and the person must often be hunted down at great expense to be forced to pay the tax. Charging a man for his very existence seems to imply that the government owns all of its subjects, body and soul (Rothbard 1995). The second deep flaw is bound up with the problem of coercion. It is certainly heroic of Mrs. Thatcher to want to scrap the property tax in behalf of an equal tax. But she seems to have missed the major point of the equal tax, one that gives it its unique charm. For the truly great thing about an equal tax is that in order to make it payable, it has to be drastically reduced from the levels before the equality is imposed (Rothbard 1995). So that the great charm of equal taxation is that it would necessarily force the government to lower drastically its levels of taxing and spending. Thus, if the U.S. government instituted, say, a universal and equal tax of $10 per year, confining it to the magnificent sum of $2 billion annually, we would all live quite well with the new tax, and no egalitarian would bother about protesting its failure to soak the rich (Rothbard 1995). The great point about an equal tax is precisely that taxes have to be drastically lowered so that the poorest can pay them. To raise equal tax rates above the old property tax, or to allow them to be raised so that the average citizen is being forced to pay considerably more in local taxes, is a sure-fire recipe for political disaster. Clark, Helen. 2001. Chinese New Year Celebration. Retrieved June 24, 2008. Dowell, S. 1888. History of Taxation and Taxes in England Vol. III. Harper, Stephen. 2006. Address by the Prime Minister on the Chinese Head Tax Redress. Retrieved June 24, 2008. National Archives of New Zealand. 1882. Internal Affairs Department IA 1, 116/7; Part 1: Chinese—General Question of Naturalisation. Rothbard, Murray N. 2006. Making Economic Sense. Auburn, AL: The Ludwig von Mises Institute. ISBN 978-0945466468. Stubbs, W. 1896. Constitutional History Vol. II. This page was last modified on 30 March 2019, at 20:30.